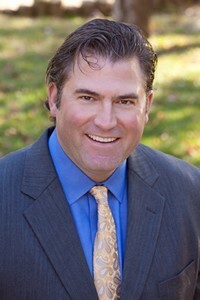 Parkwood Dental Elkin, the practice of Dr. Mark Halbedl is located near Hugh Chatham Memorial Hospital in Elkin NC. We are proud to serve the community in Elkin, the entire Yadkin Valley and beyond. Parkwood Dental Elkin is the original dental practice of Dr. Eldon Parks which Dr. Parks began in 1966 on Church Street, Elkin. Dr. Parks expanded to our current location in 1974. In 1996 Dr. Parks was joined by Dr. John Wood and both were beloved by their patients. It is in their spirit that we continue to serve the Elkin community. We have a great history in Elkin and Dr. Halbedl (Dr. H) is proud to be the new owner operator of Parkwood Dental Elkin. Dr. H is so very grateful for his staff, some of which began with Dr. Parks on Main Street! Please see our Staff Page to read about the depth and experience our gals bring to Parkwood Dental Elkin. Dr H has over 20 years of experience and has been practice since 1992. Dr H has knowledge and skill set to do your dentistry right the first time. Dr. Halbedl is recognized amongst his peers for his excellence and expertise in General Dentistry, Cosmetic Dentistry and many phases of advanced dentistry. We offer patient care Monday – Thursday 8am-5pm with some Fridays as well. At your appointment our dedicated and experienced staff will make your visit relaxed and comfortable. We take the time to listen to your concerns and questions. Dr H can then make suggestions and give treatment choices that are best for you. We will only begin treatment when you are ready.